Thenmala is a tourism destination in eastern Kollam. 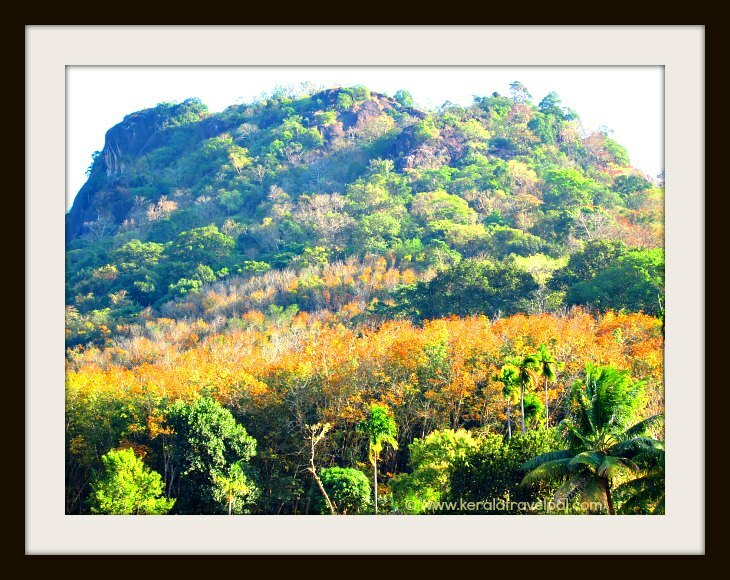 It is located at the hills near Tamil Nadu border. This is an eco tourism project created by the government. Associated with Shenduruny Wildlife Sanctuary, it taps into some of the resources of the reserve. 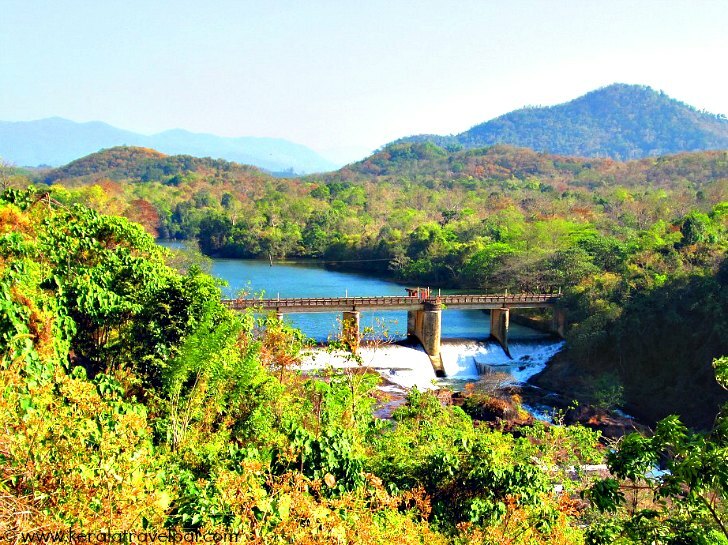 Thenmala has three zones – culture, leisure and adventure. All these zones can be covered in a day. If you want to stay back that too is possible. They have multi-day programs that include treks and visits to regional attractions. The starting point is the Tourist info centre located at the Culture zone. You can get updated info on current treks, boat rides and other activities as well as buy entry tickets from there. If you like to have boating at the reservoir of Kallada dam, arrive before 10 A.M.
Boat rides are done only during 10 – 11.30 A.M. The reservoir is the major drinking water source for the animals at Shenduruny Wildlife Sanctuary. So there is chance to see elephant, bison, deer and other animals. The next place to visit is the adventure zone. Mountain biking, river crossing and rock climbing are just a few. From the entrance, an elevated walkway leads to other attractions. A short stroll from the end of the walk way is a lake where pedal boats are available for hire. The range of activities at adventure zone may take a couple of hours and will leave you hungry and tired. Have lunch and a bit of rest before heading to other attractions. The leisure zone has a boardwalk, a swinging bridge over a river and great views of surrounding forest. Hidden inside the leafy foliage is a sculpture garden. The best time to visit the culture zone is in the evening. The time in between can be best used by visiting the deer park and Matsyafed fish aquarium. The deer park is only a couple of hundred metres away. It is actually a rehab centre for deer straying out of the forest. You can see varieties such as spotted, sambar and barking deer here. Matsyafed fish aquarium is an unassuming building. However the display of fish inside is not that dull. Better to leave the culture zone for the evening. That is because the musical dancing fountain display is only during evenings. Also, it is a better time to visit the butterfly garden in this zone. They have good variety of native butterfly species. Also there is a small wooded patch, Nakshatravanam, which has 27 trees each representing one of the 27 birth stars. Besides the restaurant there is also a shop and amphitheatre not far from the reception. Kallada dam attracts several visitors thanks to the stunning scenery and the opportunity to view it all from the top of the dam. The most famous regional attraction is Palaruvi, one of the largest waterfalls in Kerala. If you want to visit Palaruvi in the same day, better to leave Thenmala at mid day after visiting adventure zone because Palaruvi closes at 5 P.M. The distance between the two places is only 16 kms. So you can return to Thenmala and see the rest there. The eco tourism centre has dorms that can accommodate 42 people. There are also 4 rooms. The adventure zone has 8 tents, each twin share. If you are driving from Kollam, the obvious choice is to follow Kottarakkara- Punaloor state highway. Thenmala has a rail station. Check before you decide on train travel because of the suspension of service due to track works. Food Options : Restaurant at culture zone Thenmala. More restaurants at Punalur. Accommodation Options: Dorms and a few rooms at Thenmala. A few resorts and hotels in the region. More choice at Punalur. Best time to visit: Can be visited year round. Nearby attractions : Kollam town (shopping, food & fun), Kollam Police Museum, Kallada River, Paravur Lake, Ashtamudi Lake, Munroe Island, Palaruvi falls, Chavara, Sastham Kotta, Thirumullavaram Beach, Ashramam Picnic Village, Jatayu Para, Kottukal Rock Cut Cave Temple, Krishnapuram Palace, Shendurni Wildlife Sanctuary and Matha Amrithanandamayi Ashram.